In this article I'll share with you how to easily edit GoPro HD videos without having to convert the MP4 clips beforehand using Magix Movie Edit Pro - my favorite GoPro editing program - you get pro results with ease of use. I've been using it since 2010 and I still use it for all my video editing projects in 2016. But this tutorial may help you even if you don't have a GoPro camera. You can follow this process to easily edit any kind of video - with Magix or any in the top 10 best video editing software. 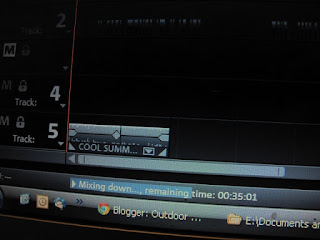 I edit my outdoor videos with Magix coz it's easy to use, has an intuitive interface and works well even on old laptops. It handles GoPro HD MP4 files, MTS (AVCHD) format, MOV clips and AVI files without needing to convert them - that saves time which you can spend on editing rather than figuring out which software to use to convert your files. For me personally it was a relief and enabled me to have a streamlined workflow. Import your files, edit, export and upload to YouTube - Done! Before discussing the technical aspects of GoPro video editing (export settings, resolution, etc.) let's consider the first step of your work as a video producer and that is shooting video. You always have to keep in mind that your works starts when you press the record button on your camera. If you shoot thinking about how you're gonna edit then you'll be taking quite a lot of work load off the editing process. Be creative with your camera. Take various shots from various angles. Show the viewers the subject in multiple ways. A bird sees the scene from above so fly your camera above the subject or take aerial shots if you can (climb a tree and take some shots from there). A mouse sees everything from ground level. 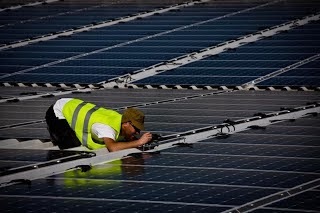 Carry your camera slightly above the ground or keep it fixed there - everything will look big. The point is to illustrate your story in a way that was never seen. If you do that well, even the dullest subject or event can look interesting. I highly recommend using a DIY Steadicam, a tripod and a camera slider for your shots. All these add to the artistry of the video - plus, viewers are used to watch this kind of steady footage from TV shows, music videos and movies. Of course, having a head mounted camera adds an urgency to the video and gives a realistic touch of the action being shot. This is called POV (point of view) footage. Also, a hand held shaky camera near an active subject creates a feeling that you're there - what the cinematography industry calls cinéma vérité. By doing this over and over again, and by studying the work of others, you'll eventually reach your own way of shooting and editing videos, that will reflect your unique style and personality. In the end, it's a creative process and you're the artist. One of the best things you can do for your viewers is to keep the scenes short. Especially for online videos (we're not talking documentaries). And why would you edit your GoPro videos if not for sharing them online, right? Having shorts scenes will render a short video as well. So if you can keep your clip under 5 minutes you'll get more views. Editing on music beats is another cool trick you can deploy to keep the viewers watching. When you can precisely identify the sound spikes, place the scenes slightly before the audio spikes. In the final video, the music beats and the videos scenes will be perfectly synchronized. If you place the scenes exactly on the beats, you'll notice a delay between video and audio in the final video. This, of course, varies from software to software. Earlier versions of Magix had issues like that but the latest versions (17 or more) handles this better - now you can actually place the scenes right on the beats and the rendering will be correct. To bring your video closer to a movie experience, add slow motion and time lapse scenes. Also, the dolly zoom (vertigo effect) is another cool trick you can do to add drama to your clips. One of the best source for royalty free music to use on your online videos is DanoSongs.com. 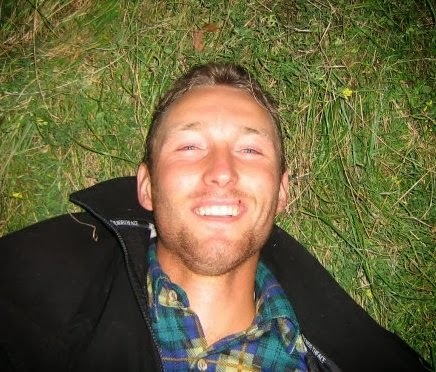 He has an interesting collection of audio tracks that are available for download and free to use for your videos as long as you give him credit. You can also reach out to independent artists on MySpace. Most of them are cool people who will accept you taking their tracks for your YouTube videos. For instance, I had a nice experience communicating with CantStopWontStopMusic.com who replied to my Facebook messages when I asked them if I can use their "Cool Summer" song. Check out their Facebook page (and download two cool songs for free). After you're done editing, it's time to export your video and save it as a video file to your computer. If you run Magix on a powerful computer - if you're a gamer you may have a strong machine - you can export the video to an MP4 file. This grants high quality and low file size so it'll be faster for you to upload the video online. Update: With the latest edition of Magix (2014 Pro Plus) you can export in MP4 (H.264 encoding at 6000 - 9000 kb/s) and you'll get a sharp result. If this works on your computer, you can ignore the rest of this tutorial. However, I recommend you export the final clip to an AVI file. AVI is an uncompressed video file and thus you get maximum video quality. This is true even with older computers or laptops. So what I'm saying is this: if you're running Magix on a slow computer, export your GoPro HD video to AVI. Add a name to your file and use a folder where the video will be saved. Use the same folder where the rest of the media files are stored (original footage and audio files). Select the resolution, the frame rate and the aspect ratio of your video. Stick to 16:9 for aspect ratio and 29.99 or 30 fps for frame rate. Click on Advanced for codec and quality settings. Select XviD MPEG-4 codec or Indeo 5.10 codec (in more recent versions of Magix). Click on Configuration button and slide the quality cursor to 1 in the next window. Click OK on all windows and the editor will start compiling your video showing you a blue progress bar at the bottom of the window (Mixing down... remaining time...). It's advisable to use a laptop cooler if you edit on a portable computer. I use a Canyon cooler and I'm very satisfied with it. Actually, my laptop can cope better with all tasks since the overheating issue has been taken care of. If your computer is more than 3 years old and has lots of programs installed, you may want to close all other applications when you're editing and exporting videos. Video editing is a hardware resources consuming task and you want to give it all to your video. Export the time lapse clips before starting the editing process of your video. So when you want to ad a time lapse scene in the clip, simply import your previously processed scene and trim it accordingly. This will take less time for the clip to export whereas if you apply the time lapse effect within the same project file of the final video, it will take too long to export. Keep all your media files in the same folder: original footage, audio tracks, photos, audio effects files, etc. Keep the project folder on a hard disk partition where there's enough free space available. All video editors create temporary files that enables them to do their work properly - don't sacrifice that. Optional step! If your video editor doesn't export in MP4, which is perfect for internet upload, then use a video converter. After you get your final AVI video file, it's time to convert it to a more suitable format for online upload, and that is MP4. Another reason to convert it to MP4 before uploading is to keep the same aspect, quality and appearance even after uploading it to YouTube. What I mean is you may have a sharp looking video on your hard drive but notice it gets pixelated after you upload it to YouTube. This happens because YouTube does an extra compression of the initial file you upload, thus screwing the quality. Vimeo does that as well but not as bad as YouTube. This doesn't happen with all file types but I've seen it happen with my GoPro clips that were uploaded as AVI. If you convert it to MP4 before uploading, YouTube won't compress them that hard as they're already compressed. For this particular task we'll use the free version of Leawo AVI to MP4 converter. After you download and install Leawo, click the Add button in the lower left of the window and browse for the AVI file you want to convert. Select an output video format - you'll get best results with iPad HD video in H.264 encoding. Tip: You can shoot in the lowest resolution with your GoPro HD camera (R1 - 480 px / 848 px @ 60 fps) and convert the final video to HD for iPad without getting a pixelated image. This means you can shoot in SD and get a HD result with Leawo. Of course, what you get is not a real HD video since the original footage was shot in 480 p but still you can maintain a sharp image even when you increase the actual resolution of the clip. Choose an output destination folder and click the big green arrow button in the lower right of the window to start converting the video. You'll see a size estimate for the new file and a progress bar + the remaining time. Tip: This process takes up resources as well so it's better to keep your computer in a cool place if you don't have a cooler. I used to take it out in the balcony (in the shade) or in the bathroom (down on the tiles) to avoid overheating - this was before I got my laptop cooler. So there you have it. This is my complete workflow with GoPro editing software: Magix Edit Pro Plus and Leawo. Is there a particular video editor you like to use for your GoPro HD clips? What's the biggest problem you face when editing video? Would you like me to write an in depth post or do a video screen capture with all the editing tricks in Magix Edit Pro Plus? Leave a comment and we'll have a constructive conversation that will lead to better solutions for all us adventure seekers and film makers out there. Cheers! I have never used gopro, but it looks like a great program... Oh the things I learn when I visit your site. I'll certainly will have to look more into it. GoPro is the camera, but many people who buy it are having trouble importing the files into their video editor. Some may need to convert them. But Magix allows you to edit GoPro clips without converting the videdos to AVI format. That's why I use it all the time. It saves precious time. Great Gopro Magix tutorial ! Thanks you've remove quite a few headaches from my head ! Thanks for the excellent work ! I do not have XVID codec in the codecs list in your instruction: Select XviD MPEG-4 codec. Where do I get it and how do I install it? Any one editing GoPro video on their Linux Operating System? What editing software? Does Kdenlive work well, and is there a tutorial of this software with a GoPro video? The suggestions for copyright free music are very useful - the few videos I've made so far have been backed by music I ripped from CDs which meant the last one got rejected from facebook. V dissapointing after editing all the footage to the music! I use Cyberlink Powerdirector - it works well for me and uploads MP4s, .MOVS for my DSLR and any other format I've tried while exporting directly to AVI, youtube or facebook. A couple of stability issues but some minor tweaks have helped that. Powerdiriector contains a bucketload of really cheesy gimmicks but does have an indispensible vibration reduction tool - probably not as good as your steadicam bt it works well enough for me. Thanks for the info, Charlie. Perhaps you have an older version of Magix?... That's why the XviD is not available... I'm only guessing. Usually when Magix meets a new kind of footage it asks you for an automatic online codec download from their servers. You need to have your serial in order to download and activate your codec. Then, don't rely on their YouTube upload. Export your video to your computer and then go to YouTube and upload your video manually. It's the safest and fastest method. If you use their application, the information travels through a longer loop until it reaches YouTube so there's no point in doing that. Also, AVI is a large size file format. Compress your video with Leawo in MP4 or export your video in MP4 with Magix if you have a good computer. The file of MP4 is smaller in size thus you'll upload your vid faster. I have recently bought myself a GoPro HD and have started shooting some skiing videos and time lapses. I now want to start editing and have installed MAGIX Movie Edit Pro MX Plus. When I try to preview the .mp4 files the video is unable to run smooth. Audio is ok, but video is very jumpy. The.mp4 files are shot at 1280x720 @ 60frames/s (R3). I have tried converting the .mp4 files to AVI, but there there is no differene...the video is still cannot run smoothly. Do I have settings wrong somewhere or is it simply that my computer cant handle it? For extra information the laptop is only about 1.5 years old. Go to File - Program Settings and set the playback resolution to half or quarter. Your preview should be smoother. My laptop is 4 years old and manages the playback well on low resolution settings (even with HD 720p @60 fps). However, If I do lots of cuts and add color correction - it only previews smoothly for about 10 seconds than it starts to be choppy. I pause the playback, hit play and then is smooth again. More RAM and a dedicated video card (with lots of memory of its own if possible) + a laptop cooler would definitely help. Usually it's a mixture of overheating, too many applications running and weak computer altogether. Just keep only Magix running and see how it goes. Get a faster computer setup! It looks as though you are using a single core (SLOW) processor which is kind of weak itself (1.6ghz). What you need is a at least a dual core processor (2.2 ghz +) with at least 4gb ram. I did some research and it seems I can upgrade the RAM very easily, but unfortunately upgrading from GPU to dedicated graphics card doesn't seem possible. So it is now the question...try upgrading to 4GB RAM or just look at getting a PC with some guts! Im just sceptical that the upgrade from 2GB to 4GB will give me what I need to run the playbacks smoothly. Do you have any experience with such an upgrade and the difference it can make...? I'm kinda confused about you moving the camera... What do you mean? You import the video into the editor as you shoot it? I haven't actually upgraded my laptop with more RAM so I can't speak about that. From what I've heard there is some improvement. Anyway, I'd upgrade as a first option. If it works, you'll have saved some big cash. Oh, did I mention about cleaning the fan/hot air vent? I do this three times a year. The first time I took out quite a "blanket" of dust that was basically smothering my computer, thus overheating the system. 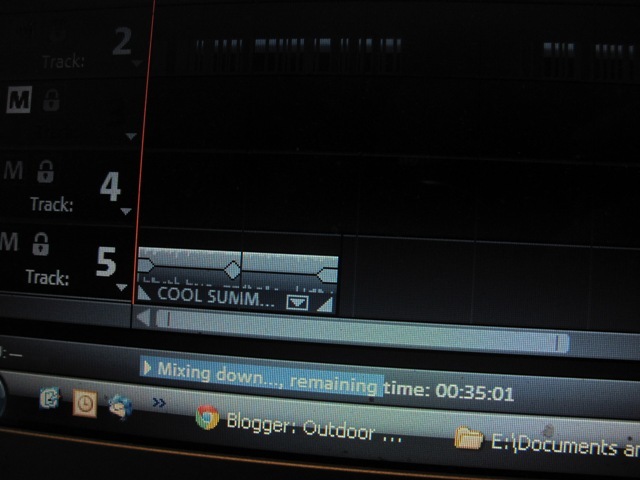 Yup you can do both slow motion and time lapse with Magix. Here's a tutorial on time lapse with GoPro. The slo mo is even smoother with the new 120 fps shooting in R1 mode (available in HD Hero 2). However, if you want super slow motion (like it was shot at 500-700 fps), you need to edit with Adobe Premiere or Sony Vegas or Final Cut Pro (for Mac) and install a plug-in named Twixtor. This basically creates extra frames and you get that slow motion which looks almost like the image freezes. Magix is limited to the actual frame rate of your original footage when it comes to slow motion. Thanks again for the help. I will be trying the RAM upgrade and a clean of the hot air vent over the next week. In terms of 'moving' the camera I meant that I shot the footage in R2 and to simulate faster motion I moved the camera faster while recording. I then saved this file on my C:\ and then imported into Magix. The footage was smooth as long as I was shooting smoothly, but as soon as I moved the camera faster I then had jumpy playback in Magix. I might also add that all of my GoPro HD mp4 files run smoothly in Quick Time and Windows Media Player, just not in Magix! Yup this happens a lot (the video being played poorly within the editing software) even with Adobe Premiere and other products. I guess it's because the software has to load a ton of features and playing the video is just another burden. I can only play the files smoothly in Magix if the videos are AVI in low resolutions (lower than 720 p). Thank you so much for this great little tutorial! I have yet to purchase my gopro, but I'm a diver and heading to Belize and Roatan this year and getting ready for some good video. This workflow seems perfect and I like the preview I watch for MAGIX software on their site (like adding slow motion, etc.) I've used Premiere previously and it seems like a resource hog. I have a Dell XPS Studio 13 that's a few years old so hopefully this will all work fine. Oh, and great tips on the music resources! Thanks. I noticed on the export from MAGIX for AVI it says "user defined" video resolution. Your settings say 848x480 which I see from the GoPro manual is r1. But you're saying to shoot in that, but then use Leawo to save (avi to mp4) as HD for iPad that will give it the 720 HD widescreen resolution for Youtube? Would that be the same for underwater? I've seen some suggest r3 for underwater (wider angle) but my overall video will be a compilation of above water, below water etc. So just trying to figure out the best HD quality to shoot in overall. But sounds like r1 is best bet. But that's still 16:9 resolution I'm assuming. Sorry for all the questions. LOL My friend will be on this trip and I want to get some good video and won't have time on trip to test what I've got. So just trying to be prepared. Congrats on your upcoming trip. Sounds like fun! Only R4 is 4:3 and provides the highest vertical angle; the rest of the resolutions are 16:9. So this is aspect ratio, it has nothing to do with resolution. For instance you can have low resolution 300 pixels per 169 pixels and the aspect ratio is 16:9 (300/169 = 16/9 = 1.77). Forgot to ask: are we talking about HD Hero 2? If so, then R1 shoots in 120 fps which is awesome. So for super slow mo use R1 (even if the resolution is not HD) and for the rest use either R2 or R3. When you mix up scenes, viewers won't tell the difference between the quality of shots. The action and the style of shooting and editing is much more important than actually having 1080p footage. As I said: I shot lots of videos in R1 which is not HD but then converted with Leawo to 720p and the image didn't pixelate at all. Yup Premiere is ultra proficient but takes a while to learn and needs a powerful computer to run on. Magix is easy and you can get the same results if you put your mind to do it. Thanks for the reply. Yes, Hero 2. Slow-mo isn't the highest priority, I'd just like to be able to slow down a few scenes just for effect. And it looked pretty easy to do that with Magix. So that's not the highest priority. So since I'll be using Hero 2, would you just suggest shooting everything in R1? Or R3 which I believe is 720 60fps? I won't have much options for offloading (possibly to a netbook) so space is probably a concern also. Will need plenty SD cards I guess. Do you recommend a certain type or speed of SD card? No worries man, always happy to help. So if you get the HD Hero 2 you might as well get a 32 GB SDHC memory card from GoPro - this way you know for sure it performs well. I got mine with the camera directly from GoPro store and 32 GB is quite okay to have. I deplete 4 to 6 batteries to fill the card, depending on the resolution. It's like mini hard drive - worth having. I'm saying this coz there are cards that are slower - they cannot actually record all the info that's being sent from the camera to them. When that's the case, the camera either stops or your clips will be recorded with breaks and jumps. So if you don't shoot super fast action, then I'd go with R2 - coz it outputs the "lightest" HD file format. And if super slo mo is not your thing but you still wanna slow down the footage a little without making it choppy, then shoot in R3, for the same reason - it's the "lightest" HD format at a higher fps. A side note - there's a special underwater case for GoPro, made by a third party (good credentials and reviews out there) - it makes the image sharper as it tends to blur a little in the water (coz the water itself, having different density and optics, acts like another lens creating some distortion/blur). Now, if I were a diver, I'd consider buying one - check out Eye of Mine (they manufacture it). I only shoot occasionally under water so I don't care that much about the extra sharpness I could get with this flat lens housing. Send me an email with your vid/YouTube channel. Great post! I'm just about to get stuck into learning how to edit videos so I can produce travel videos in the near future. 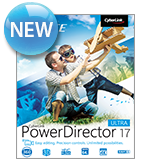 I've currently got Cyberlink Powerdirector 9. Do you know if Magix is better or worse for a beginner to this stuff? You've got some stellar tips on here so I'll be checking back in the future! I know Powerdirector handles MP4 files as well but haven't really worked with it so I can't tell if it's better than Magix from a beginner's point of view. It seems that Power Director is the first in the toip video editing software chart. So, if people like it, it must be good - perhaps better than Magix. There's an option in Leawo called iPad HD mp4 - the word iPad is irrelevant here. The point is, you can compress your video to a smaller files size in MP4 format. Just picked up the GoPro 2 and this is the best reference information I have found. Thank you! I am new to editing and using Adobe Premiere Elements 10. I have been using the GoPro default resolution of 960-30 (1280x960). The editor does not have this preset so trying to figure out what would be the best resolution to use in this case. If I choose 720p30 (1280x720) in the editor, what is the impact to the quality. Do I need to convert to one the specific Premiere presets before I start a project? Any input would be appreciated. Thanks again for all the great information! I don't know how Premiere works. I installed the free trial but my laptop is just too weak for it and I couldn't work. As long as you export with the right settings (resolution and aspect ratio) it should't be a problem to work in a project file that has different settings. At least that's the case in Movie Edit Pro Plus. So for instance, even if the preset of the project is 640/480 and I import 1280/720 footage I get a warning message which I ignore. Then when I export I am being asked about resolution and other settings and that's the part that matters. So do a little experiment in Premiere. Work with whatever presets it has and then export using your desired resolution and aspect ratio. Hope this helps. great tutorial, but whoa, complicated nontheless, someone has to make this easier! Well, it's quite easy if you have a powerful computer with tons of RAM, and enough memory on the graphics card. DO NOT USE Leawo AVI to MP4 converter. Should I uninstall it, then? Thanks! Awesome post man. I reference it all the time. Thanks for all the valuable information. Great post! Thanks for all the valuable information. I have had a difficult time making my GoPro videos look good. This has been a huge help. hey man great post ! Im having a huge problem with my HD Hero 2 videos, I just started a bodybuilding vlog and shoot all my vids with this camera, i edit them on Premiere CS5.5, they export in perfect 1080 HD, I match all the settings with the way I shot the video, but when I upload to youtube they look horrible. Its very pixilated, especially on 360p, other videos on 360 look spectacular. Even when you choose 1080 setting on youtube mine does not look anywhere near like the way i filmed it. can you PLEASE help ! What I think happens is this: your video is too large in size and bit-rate (uncompressed); maybe it's AVI. So after you upload it, YouTube does an extreme compression in order to play it online - that's when they screw up the quality of your vid. I had similar issues a while ago. So before you upload the videos to YouTube, you compress them into MP4 H.264 codec. You can do this with Leawo - see above in this tutorial how I do it. You choose iPad HD format and you convert your video. Then you upload it to YouTube and it should look fine. 1. You're anonymous so you're a ghost. 2. You can do better that that. Just "stupid"? I know you have more in your head. Gimme a constructive criticism, man. Otherwise you're just trolling. I have really good footage from my Hero 2 but I never edit a video before. As a begginer... which program do you think I should be using? Magix Movie Edit Pro ? Tx for all your help! Vegas is a powerful software. It may be too complex for beginers. I think you'll love Magix as a beginner. Even after you graduate from "beginner status", you'll still enjoy it for editing your GoPro clips and more. Do you have a tutorial for Magic or do you know of one that I can use? Tx again for your time! They have a book on video editing. They say it's good for beginners but I can't tell you how good it is - I haven't bought it. I got the movie editing software that you recommended, the Magix Movie Edit Pro MX18. Looks lika a nice piece of software, but how do you advance one frame forward or backward? E.g Pinnacle Studios: x=next frame, z=previous frame. I don't know, to be honest. What I do is this: Hold down the Ctrl key and press the Up Arrow key until the footage track is zoomed-in enough so you can see each frame as a distinct footage segment (bordered by two vertical lines). Then you edit/cut each frame as you want. Did this happen in Magix? I am looking for insight and suggestions on how to edit/reduce the "fish eye" or barrel distortion that comes from using Gopro Hero2. I think you would have to play with "distort" effects in your video editor (whatever that may be). OK,I need some help. I have been able to shoot video in all formats with my gopro. No matter what i have tried using corel or gopro sw, I can not even come close to the quality end result that is posted everywhere. What is the million dollar secret? Is there a certain flow that needs to be followed to get better end quality? Hmmm... I guess you need to fine tune the settings of the project file and then the export settings (resolution, fps, bit-rate and such). I use Magix as I've described it above and it work fine for me. The result videos are sharp. Hi GoPro junkies. I used 3 GoPros to film my Escape from Alcatrtaz Triathlon and realized that I ended up with 8hours of videos and needed to quickly cut it up before edit. I got my engineers to build this. Check it out. It eats GoPro HD videos for lunch. Last summer I strapped on 3 GoPro cams and recorded POV for my Escape from Alcatraz Triathlon. Ended up with 8hours of video that needs cutting. I got my engineers to build Turbo Video Cutter. It cuts GoPro HD videos WITHOUT any need for conversion. Its free for 3 days and $9.99 thereafter. Since many of you seem to need a simple video cutting/clipping/trimming software...I though I'd share this. Its a pity I see so many people losing quality video to crappy conversion software. Why shell out big bucks for a good camera is we are going to loose pixels in conversion? Check it out and let me know what you think! I will be getting my team to build more apps for GoPro users like myself! No, you're not in trouble. :-) I have compiled a list of video editing of tutorials for each operation (slow motion, time lapse, etc.). That should help you start small. The idea is simple: drag files onto your timeline, make the cuts, add the music on a lower track and export your movie. (File/Export as... MP4 or AVI). If you're using a laptop, a cooler will help with overheating. Also check out this beginner's video tutorial in Magix. Let me know if this is helpful. You can also email me or find me on Twitter. Hey bud this is Brian,thanks for the info. By the way my computer is an HP pavilion dv7 with intel i3, m350 @ 2.27 GHz, 4gb, 64 bit windows7 OS. Is that decent enough for editing with the magix system you are talking about? And thank you for the rapid response to my previous post. No worries, Brian. You're welcome! Yup that's decent for the program's requirements. If the software moves slow, close all other applications then go to Settings/Video-Playback and set the preview to half resolution. Lemme know how it goes. Cheers! Wow! Such a huge list of very very useful tips! And I've been coming to Brasov once every month for the past 3 years! :D Keep it up! Thanks for the kind words, Falcon! I hope you enjoyed our city. I built my computer and am running windows and want to know does Magix edit pro plus work well also for the go pro hero 3 black? Also, I have never ever worked with any type of editing program. Is this fairly easy to pick up and learn? I assume Magix will work with GoPro 3 Black as well but I've only used it with GoPro HD 1 and GoPro HD 2. Yup, it's easy to use - that's why I use it. These are my tutorials. CyberLink Power Director is ranked as No. 1 video editing software for prosumers and that works with 4K footage (GoPro Black 3 outputs in 4K as well). I have it but I use Magix more often. Hi, thanks for tall the info. its been a great help. I am having issues exporting the edited audio with the edited video in Magix, any ideas? Be more specific. You can also post questions on their support & community site Magix.info. I did that a couple of times and I always got a competent reply to my questions. Constantin, great tutorials, I realy appreaciate your work. I'm running MAGIX Edit Pro MX Plus (capable to export MP4 videos with H.264 codec directly), but I'm not being able to achieve the desired results. What settings would you recomend in order to export MP4 720p HD H.264 videos for youtube (directly from MAGIX)?? Hi, Pablo! I export in H.264 in 6000 to 9000 kbs. I'm using the 2013 Plus version. I've noticed that previous versions (maybe yours as well) would export a grainy result in MP4 - that's why I used to export in AVI (got a sharp result) and then I compressed it to MP4 with Leawo. Get the free trial of the latest version and give it a spin - I like the way it exports MP4 now. Or just update your current version - they release updates once in a while. Hope this helps. Lemme know. Hi Constantin, I made some test exporting in H.264 and 10000 kbs, and gave me a very satisfactory result... directly from Magix. The DIY camera slider is definitely on my to to do list now! Lots of great info on you site, thanks for sharing. Thanks, Matt! Drop a link when you have your slider done. Cheers! I am using a gopro hero2, I am using Adobe Premiere Elements13, I try to get a TV sizes movie but allways end up with some small Movie Clip. Export in full resolution as to match the TV's settings. You should be able to view it raw in full on TV. If you edit it, make sure u export in full HD.